Size: To 5 in wide. Notes: 8 species of Helianthus in Arizona. Entry for sunflowers in the University of California Statewide Integrated Pest Management Project. 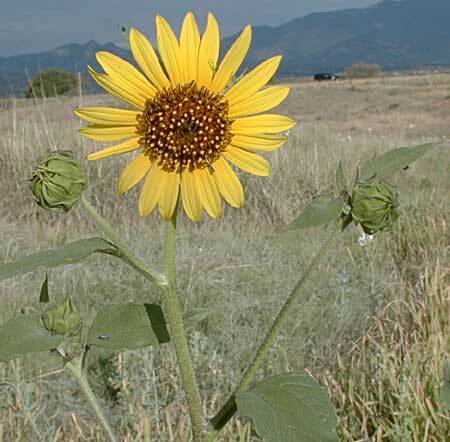 Photos of wild sunflower on the CalFlora website. Common sunflower plant profile on the USDA Plants server.